AMP (Accelerated Mobile Pages) is a new project by Google to accelerate the loading time of mobile web pages. It can improve your blogger blog’s loading time if someone browses using mobile. Most of us want to use AMP Blogger Templates because the fact is its loading time feature and most of the paid and free blogger templates are not light-weighted and fast in terms of loading. But, AMP Blogger Templates is the best solution for those who want their blogger blog load super fast. As you all know that we are talking about AMP (Accelerated Mobile Pages) so, we will undoubtedly discuss what professionals are talking about this new project of Google. But before, let me define; what are Accelerated Mobile Pages (AMP)? You May Also Like – 11 Best SEO Optimized Blogger Templates. What Are Others Talking About AMP? Some publishers aren’t generating as much ad revenue as they had hoped. Don’t worry, many of us are still supporting AMP to use on websites and blogs, but according to me, we shouldn’t use it. Alright, Above I’ve mentioned all facts and discussion about AMP Blogger Templates. In case, you still want to give a try, then here is the list of top 10 best AMP BLOGGER TEMPLATES which are free to download and use. I think the name is enough to describe its functionality. 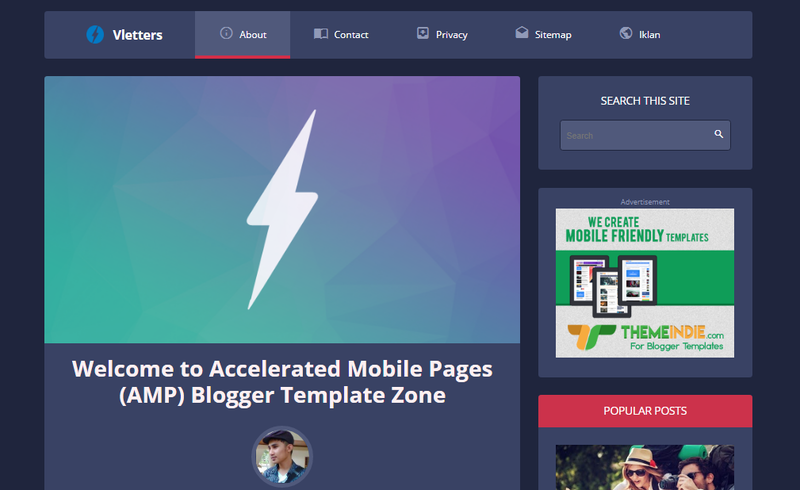 But, for your ease; AMP HTML BLOGGER TEMPLATE is a modern designed super fast loading theme for all BlogSpot users. It has a left side menu bar that looks attractive. It can attract readers to revisit your blog again and again. 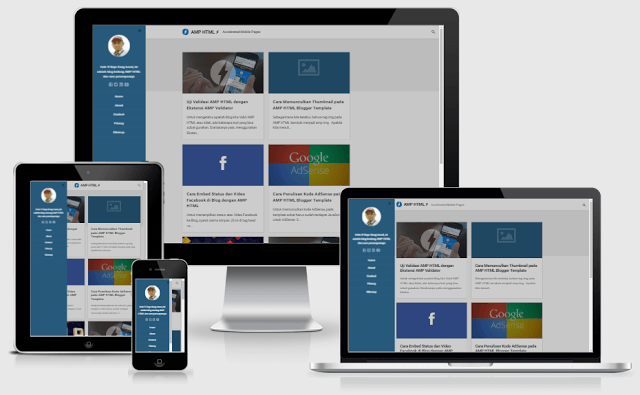 AMP HTML template is fully responsive and has a material design like card layout which looks amazing. Overall, it is a super fast and responsive AMP template for blogger. AMP News is a beautiful template for blogger platform, and you should try it if you’re running tech or news niche blogs. This AMP blogger template is fully responsive, SEO optimized, and its material design look makes it stand out from all other Blogspot themes. People, who want to give a fresh look to their blogs should try this template because it is one of the bests in this AMP BLOGGER TEMPLATES list. MDCamp is another excellent AMP blogger template which suits to every niche. It is quick loading, and highly SEO optimized AMP template for Blogspot blogs. The template is designed by a highly skilled designed, so it has neat and clean codes inside it. There is no risk of any malware inside template scripts. It has two column layout; main column and sidebar column. The primary column is for content articles and sidebar is for adding widgets like as recent posts widget, subscribe box widgets, and social media widgets to grab the attention of readers. If you want to use MDcamp blogger template, then I would like to tell you that you can not use default commenting system of Blogspot because it has inbuilt Disqus comment box enabled. Kompi is another AMP powered blogger template. You can use it on almost all niches because it had a beautiful design and designed on the Bootstrap framework. Bootstrap is a well-known front-end framework to design website themes, and it can give a better look to any internet site. It is fast loading, highly SEO optimized, Adsense friendly blogger template. If you want to use it; click button below to download. 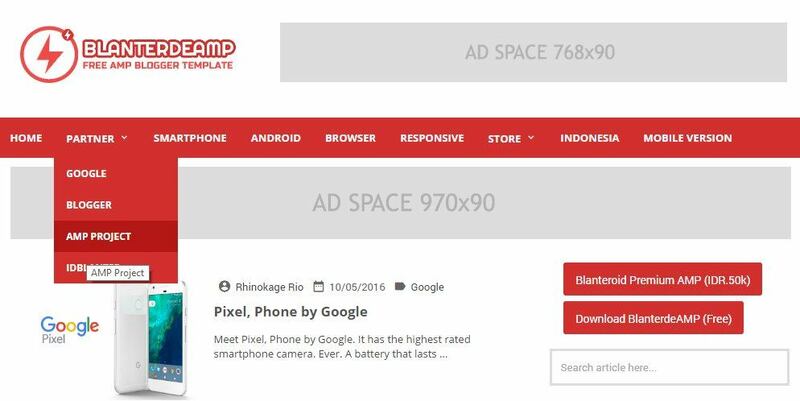 Blanterde is one of my favorite AMP blogger template in this list. 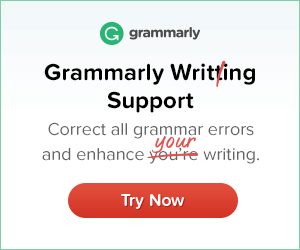 It has a unique look which can attract your readers as well. It is coded by a professional web developer and the code used by the developer is neat and clean. There is no risk of malware scripts. This blogger template has a fantastic two column layout design and a beautiful drop-down menu bar. 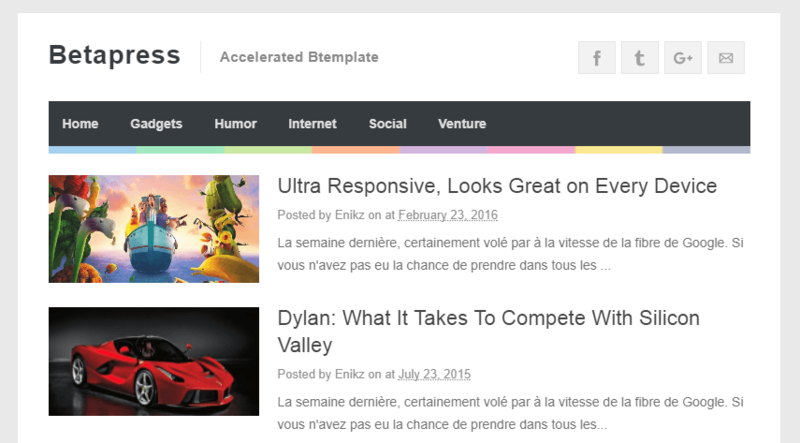 It is very light AMP blogger template, and it can boost your blog loading speed. Just download it from the button below and use it on your blog right now. If you’re looking for highly SEO optimized AMP Blogger Template, then BetaPress is here for you to give your blog a new and eye-catchy look. It is easy to customize, SEO optimized, AdSense ready, Light, and AMP powered blogger template. There are many inbuilt widgets you can find on this cool blogger template like as; social media buttons and search bar in sidebar wrapper. If you’re interested in this AMP blogger template, then press below download button. Vletters is here if you’re modern and stylish things addicted. 😀 Vletters is a good AMP blogger template has a beautiful and modern look design. Use this template if you’re a color and unique things lover. 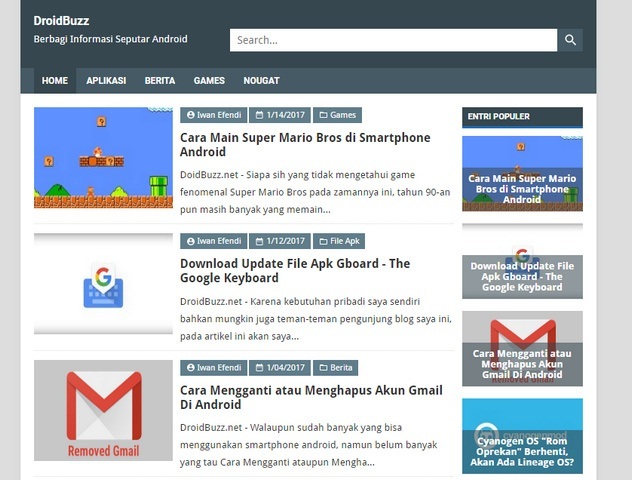 By using this AMP blogger template, you will get a beautiful design, customizable theme, and a highly SEO optimized theme for Blogspot. 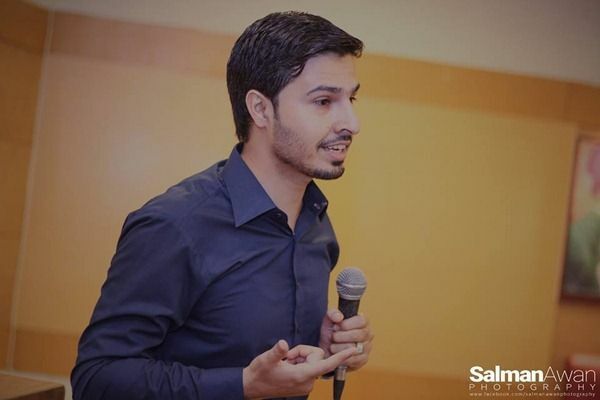 You can use this blogger template by downloading it from the button below. Noname is one of my favorite AMP blogger templates in this list. It is easy to customize, highly SEO optimized, fast loading, and a nice looking blogger template. Well, this template is paid means you have to pay for it, and the free version of this template is coming soon. It has two columns, nice sidebar, and fully responsive AMP blogger template. Have a look at the demo by using the button below. 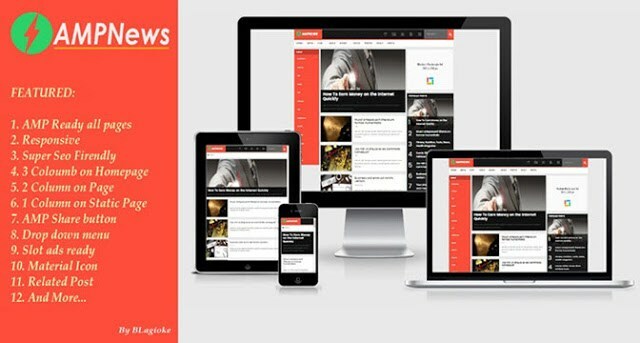 Droidbuzz blogger template is specially designed for tech niche blogs. 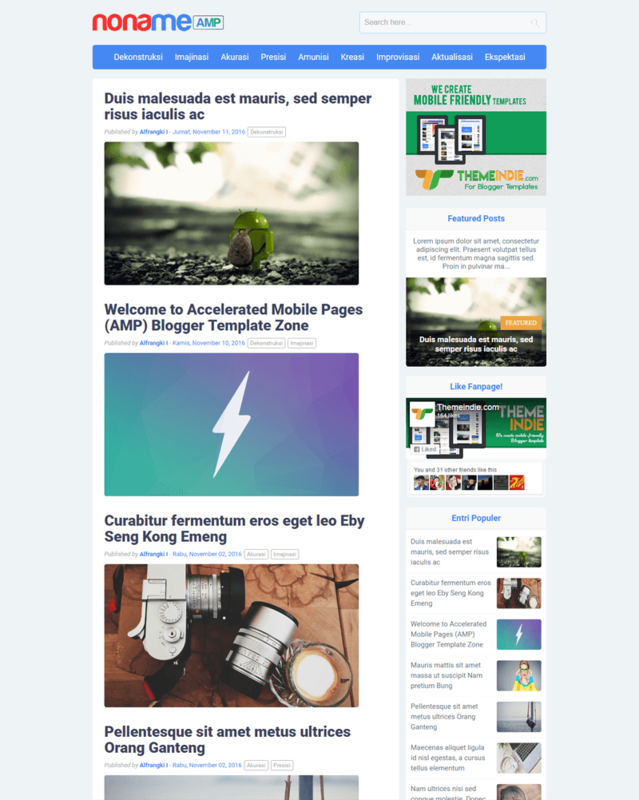 It is beautiful and a light AMP blogger template which is speedy loading and highly SEO optimized. If Adsense is your primary income source, then this is the template that you should use because the design of this theme is AdSense friendly. People who are having a tech, news, and jobs niche blogs; should go for the Droidbuzz template. You can download it from the button below. 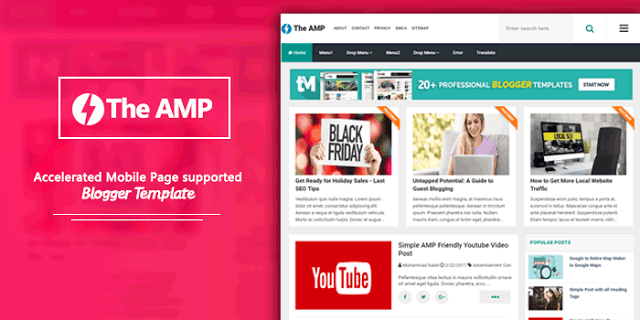 The AMP blogger template is another beautiful one in this list of best AMP blogger templates. It is coded by a good web developer and he used clean coding and result is in front of you. Though, it is a paid blogger template but a worthy investment. It will cost you $15.95 USD but according to its functionality price is very cheap or we can say equal to a delicious pizza. 😀 Keep in mind that, Paid things are always best. You can see the live demo of this blogger template by clicking on the button below. So above I’ve shared all about Google’s AMP project and a list of top 10 best AMP Blogger Templates. I hope you guys will like it and surely give a share to this post. Well, AMP is not an essential thing to apply on blogs, but it is a great project by Google. 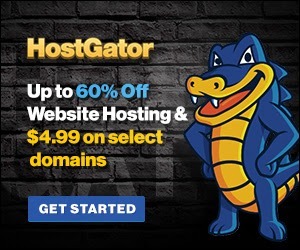 It is perfect for all those blogs who are getting thousands of daily traffic from Google. For example; Tech Crunch, RVCJ, India Times, and all other viral tech and news niche blogs. 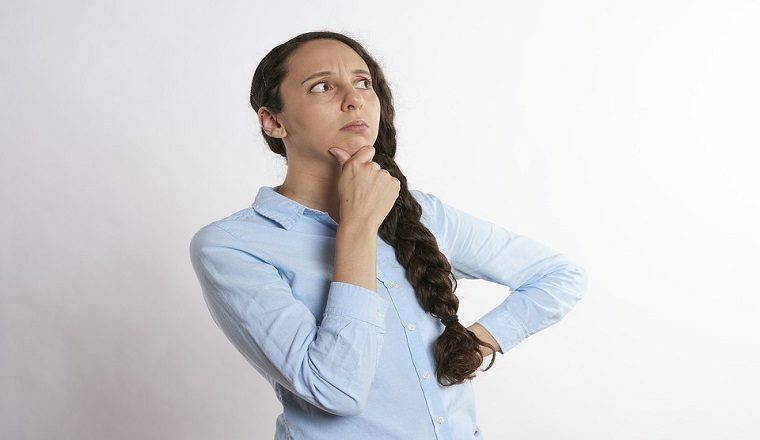 If you have any suggestion about this article feel free to comment below. 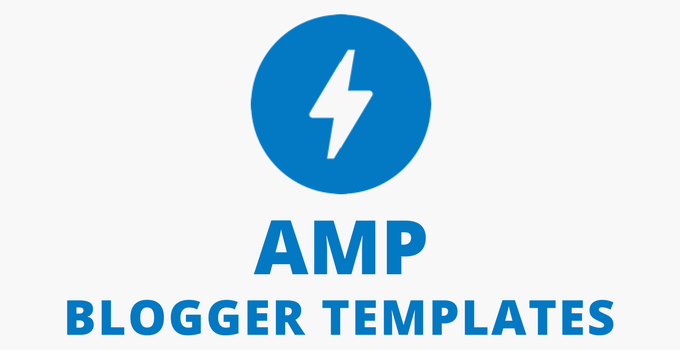 Let me know if you’re using any best AMP blogger template which you’re using right now. I’ll surely add that template to this list If design and features attract me. I went through your posts and what I found in your posts was truly amazing and keep up the good work. 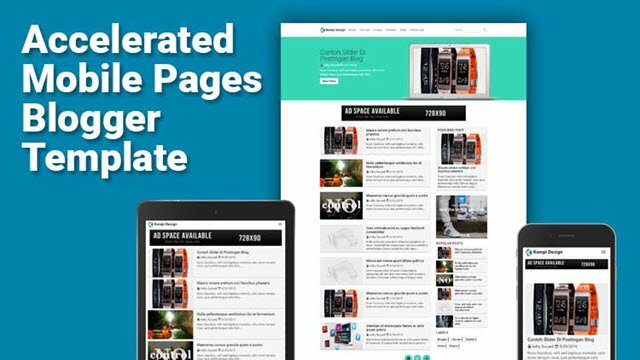 you share a such of wonderful information, it’s very helpful to us about the best amp blogger templates. AMP is not a good option for Blogger platform at present because there is no official support present for it currently. Forcibly converting the code of a template to AMP will only make it a headache for people not quite well versed with code tweaking. Hi hassan! I hope you are perfectly great. AMP is a good choice or option for bloging platform my dear. I research the web for AMP implementation and found that it’s really easy to implement it on WordPress but it’s not possible on Blogger. Great Post ! 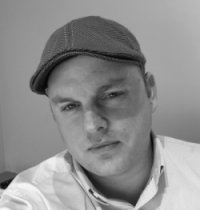 I do appreciate your efforts for explaining the AMP Template. I went through your post and I found it really helpful , the way you have describe the things are great. And of template are really awesome. You have really explained very well about the AMP. I must appreciate your way of explaining.